cooking, volleyball, soccer, public-speaking, ice-cream scooping, presenting, driving, typing. yoga, pilates. Scuba diving license obtained - would need a revision course. Sophie Renae is a Sydney based Actor and Voice Over Artist who graduated from the International Screen Academy in August 2016. Sophie moved to Sydney from her hometown of Adelaide in 2011 after she was granted acceptance into the iconic Actors Centre Australia, where she studied under the likes of Dean Carey, Andrew Lloyde, Jennifer West, Linda Nicholls-Gidley, Samantha Chester, Scott Witt, Anthony Skuse, and many more. In 2013 Sophie left the Actors Centre Australia in order to travel throughout Europe for 6 months. One of those months was spent in London, where she took part in a full-time screen acting course at the prestigious MET Film School, based within Ealing Studios. 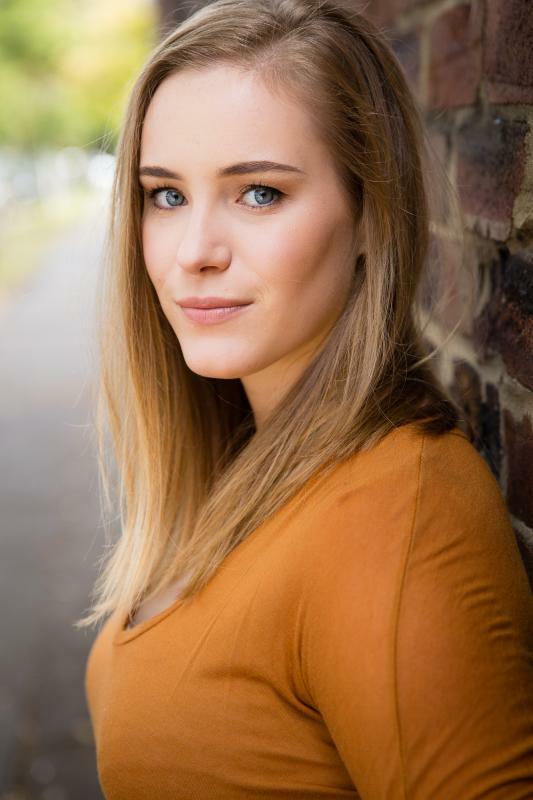 Upon returning to Australia Sophie worked on both Anzac Girls (ABC) and Danger 5 (SBS), before being accepted into an Advanced Diploma of Acting for Contemporary Screen Media at the International Screen Academy. In her time at the International Screen Academy, Sophie received training in multiple areas of the screen industry and was been taught by an impressive number of industry professionals. Some of her regular tutors included Kevin Jackson, Julia Cotton, Chloe Boreham, Pip Edwards, Felicity Josling, Natasha McNamara, Michael Bates, Monica Davidson, Dr. Mark Seton, Lynn Pearce, and many more. In addition to her full-time training, Sophie has also taken part in several highly sought-after short courses, such as Ted Brunetti's Audition Workshop, a West Side Actors Studio Masterclass (run by Doris Younane & Jonathan Mills, with guest tutors Peter Andrikidis & Dustin Clare), South Australian Castings (Ann Peters) 3-year acting course and several of NIDA's holiday programs. Sophie was also fortunate enough to be shortlisted to the top 15 for South Australia in the 'Dolly Magazine - Neighbour's Search for a Star' competition in both 2006 and 2008 and she was shortlisted from thousands of entries worldwide in the 'StarNow Global Curve Model Search' in 2016. ​Both films are set to be released in 2016.